Recycling is one of the pillars of green living. If you think about it, you will find out that a great deal of the activities in your office, from the work you do there to the tasks regarding office cleaning, can, in fact, lead to recycling. The most important thing is to implement the right methods and solutions so that recycling can take place. When done correctly, this will help an organisation send less to the landfill, thus contribute to the environment in a right way. 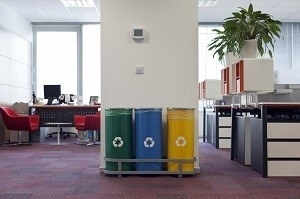 Following are six tips your company can implement right now, which all lead to more recycling options and a greener way of work. Consider paper consumption – a vast portion of all office waste consists of paper. As such, it is essential to do everything possible to reduce paper consumption. For starters, set the option for all printers to provide double-sided printing. Something as simple as this has the potential to half paper consumption. Next, employ strict policies about printing. Most of the information printed out can easily be stored digitally instead. Reuse and reduce – the other two pillars of sustainable living are to reduce and reuse when possible. Typically, you will want to look into paper usage reduction, as one of the most important resources that you can address. Also look into other articles that can be reduced and reused in some way, such as toners, furniture, IT equipment, stationery, etc. Implement and expand the recycling system – if you think the options for reduction in your office are exhausted, it is time to recycle. The best thing you can do is start small and expand from there. The paper should always be a top priority for recycling because it is the most visible waste. Over time, develop your recycling systems to include plastic, glass and another type of waste. Labelling and bins are very important – most offices use recyclable materials, but not all offices have designated spaces for recycling. You need bins and containers for the job. Once implemented, make sure you communicate the recycling strategy to your staff. Add pictures and labels of what can be recycled to encourage such efforts further. Steer clear of personal bins – once a good recycling system has been put in place, it is time to remove as many personal bins as possible. The goal is to have some centrally located waste units, which are easy to access and are all dedicated to recycling. This is a subtle way to encourage recycling. Do a recycling awareness day – if adoption rates of your recycling programs are low at first, maybe it is a good idea to run a recycling awareness day. Make sure you feature graphics and other useful information to appeal to employee’s beliefs and habits. 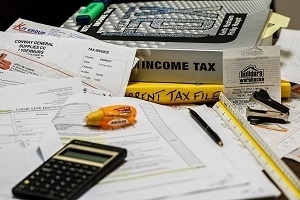 Outline the environmental and financial benefits. These are all great ways to enhance your office life. Not only will they better the work process and office cleaning effort, but also contribute to a waste-free environment.